Under supervision of Uttar Pradesh Jal Board, these labourers were working reportedly in absence of any safety gear. Two manual scavengers from the same family in Uttar Pradesh's Varanasi died on Saturday – reportedly due to suffocation while cleaning the newly constructed sewage tank – two days before Prime Minister Narendra Modi's visit to his home turf. On Saturday afternoon, more than a dozen labourers in Chowkaghat area were deployed in the cleaning of sewage lines and making the newly-built sewage treatment plant operational ahead of the PM Modi’s visit. The duo was reportedly sent inside the manhole without any safety equipment. They dropped unconscious inside the manhole and reportedly drowned inside the sewage water where they inhaled intoxicated gas, and died. 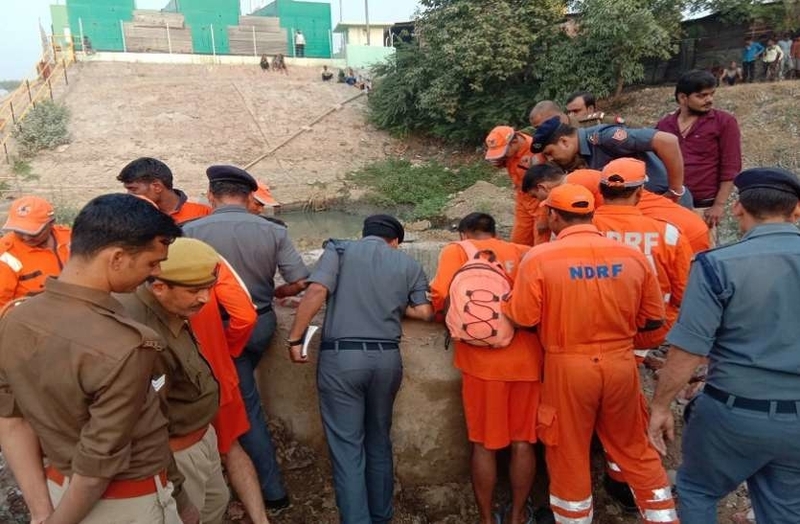 A National Disaster Response Force (NDRF) team was rushed to the spot, and pulled out the bodies of the two deceased labourers. They have been identified as Dinesh Paswan (27) and Vikas Paswan (18), hailing from Bhabua in Bihar. Prime Minister Narendra Modi is visiting his parliamentary constituency today to inaugurate two major national highways and an inland waterways project. He would also be inaugurating the Dinapur sewage treatment plant, and the sewage tanks in the area are reportedly being linked with the pumping tanks of the plant. Ahead of Modi's visit, the work was reportedly being done hurriedly. Under supervision of Uttar Pradesh Jal Board, these labourers were working reportedly in absence of any safety gear. The contractor was arrested by the local police, according to Raghuvanshi. "We did a survey. In three years, 11 manual scavengers have died in Uttar Pradesh while working. The Centre had allocated a huge amount to Varanasi, but surprisingly, no one knows where these money has gone, as there is no work on the ground,” he added. According to a survey being conducted by the Union Ministry of Social Justice and Empowerment across 18 states, over 20,500 people have been identified who are involved in manual scavenging in India, while the number for Uttar Pradesh is 6,000. Manual scavenging (cleaning sewers and clearing human excreta from open-pit toilets) is prohibited under the Prohibition of Employment as Manual Scavengers and Their Rehabilitation Act, 2013.